The most important risk factor for orangutans is the loss of habitat. Suitable orangutan habitat in Indonesia and Malaysia has declined by more than 80% in the last 20 years. It is estimated that an average of 1.15 million ha of forest per annum has been lost on Borneo between 2003 and 2007. For Sumatra, the loss is put at 550,000 hectares per annum between 1985 and 2007. A deadly combination of&nbsp;logging (legal and illegal) and expansion of the oil palm industry is largely responsible. Around 7 million hectares is now under oil palm plantations in Indonesia but considerably more forest has been lost.&nbsp; Often logging occurs on the pretext of being for oil palm but merely to gain income from the timber. Oil palm is the world’s most productive oil seed. Demand for the product has been growing by more than 9% per annum in the last decade. This is being driven by not only the food and cosmetic industry but more recently its usage as a biofuel. To read more on palm oil, click here. The combined effect of logging and oil palm&nbsp;expansion resulted in Indonesia having the world’s highest deforestation rate in 2006 according to a United Nations Environment Programme (UNEP)&nbsp;report from 2007. 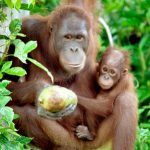 It concluded that up to 98% of the orangutan habitat in Borneo and Sumatra may be destroyed by 2022 without urgent action. 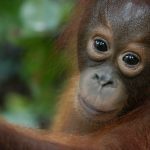 The UNEP&nbsp;report, “The Last Stand of the Orangutan: State of Emergency”, estimated that illegal logging accounts for more than 70% of the timber harvested in Indonesia and that it is occurring in 37 of the country’s 41 national parks. The industry is driven by excess saw mill capacity and better returns for timber producers than utilising legally harvested timber. * The creation of “forest islands”, areas of land too small to support an orangutan population results in animals caught on these islands starving to death or turning to desperate food seeking measures. * The vulnerability&nbsp;of these areas to forest fires increases. The large quantities of dead wood littering the once forest floor provide the perfect combustion material for Kalimantan’s famous uncontrollable infernos. * Microclimate changes impact fruiting in the forests. When local conditions deteriorate, orangutans are forced to move to new areas in search of food, bringing them in conflict with humans and often ending in them being killed as “pests”. In 1997 and 1998 thousands of orangutans perished either from starvation, fires or at the hands of people whose gardens they entered in search of&nbsp; food. 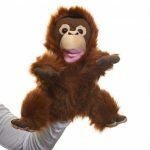 The orangutan shown in the photo on the right was one of the “lucky” ones. 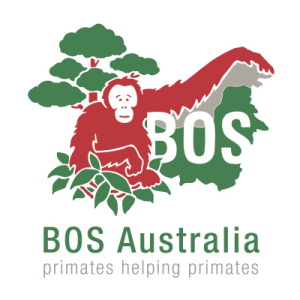 She was recently rescued by the BOS team, fed and relocated.